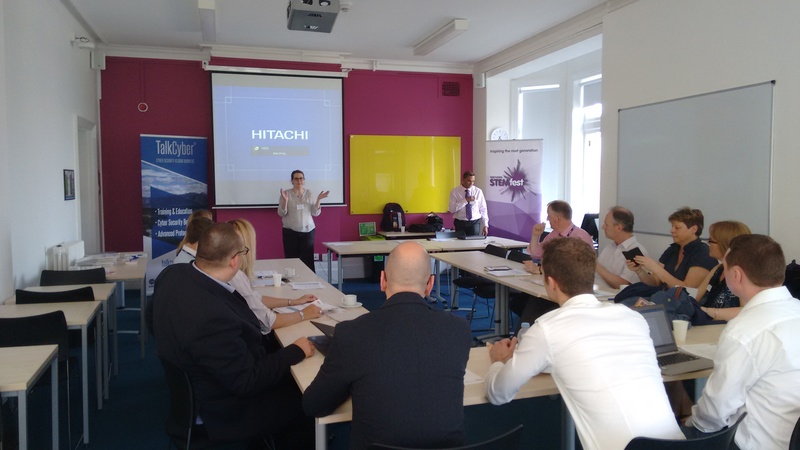 STEM Sussex in association with TalkCyber hosted a cybersecurity information evening for teachers at Brighton University’s Eastbourne campus on 12th May 2016. The event was supported by experts in the field who presented on a variety of different cybersecurity aspects aimed at Teachers and provided information, guidance and activities to help them engage and educate their students. Ken Jacobie, TalkCyber founder and Director, chaired the event and presented an introduction to Cybersecurity. Ken has spent over 20 years involved in the design of secure networks for various organisations around the world including American Express worldwide. He has taught in industry and, more recently, at Sussex Downs College. Whilst still passionate about spreading the word of Cyber Security he also works to help organisations protect themselves and educate their staff. Detective Inspector Andy Haslam presented ‘The not so innocent web what can go wrong and what to do when it does’ and highlighted the sheer variety of cybersecurity threats. Andy has over 20 years policing experience and now has the responsibility for creating and developing the strategic and tactical response to Cyber Crime on behalf of Surrey and Sussex Police as head of the Cyber Crime Unit, the first in the South East and one of the first in the country. He regularly contributes his knowledge and experience to national initiatives involving the College of Policing and the Home Office. His team are responsible for investigating ‘hacking’ and denial of service’ cases as well as developing partnerships with other law enforcement agencies, academia, industry and the community. Marios Kyriacou, the founder of The Security Bureau, gave an overview of the latest defence and attack techniques. Marios has worked as an information security consultant for over 14 years and has held senior positions in two global telecoms organisations. He has led a penetration testing practice, consulted on ISO27001 and PCI standards and has acted as a Security Manager for a large global publishing organisation. Jason Stanton, Schools Programme Manager at Cyber Security Challenge UK provided advice and guidance on teaching cybersecurity in the classroom and introduced competitions. Jason was a teacher of Computing, ICT, Business Studies and Creative Media before joining the not for profit organisation, Cyber Security Challenge UK, with a remit to get more people into Cyber Security jobs. Karl Smith Head of Cyber Security Assurance Services highlighted the need for cybersecurity professionals and how engaging them at an early age can help. Karl has over 20 years’ experience of working within IT and Cyber Security, he has undertaken various roles including; System & Network administration, vulnerability assessment/penetration testing, ethical hacking product management. Cybersecurity for small businesses – can you afford to ignore it? For advice on best practice and data protection, choosing the best marketing and social media approach or training and education for you and your business.